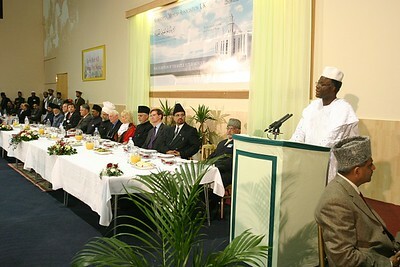 He said "If we can pass the message of peace to the whole world from this mosque, Baitul Futuh would have served its purpose"
He said, In my country (Ghana) the Ahmadiyya Muslim community is at the forefront of advocacy for peace, national unity, academic and moral excellence. 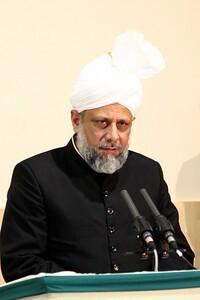 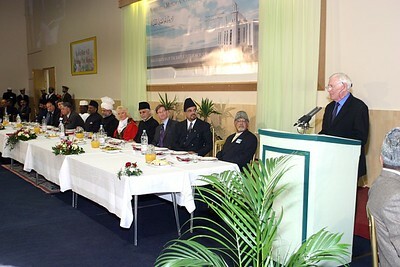 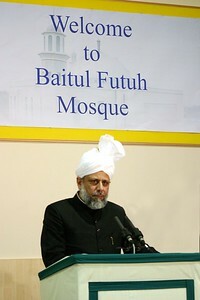 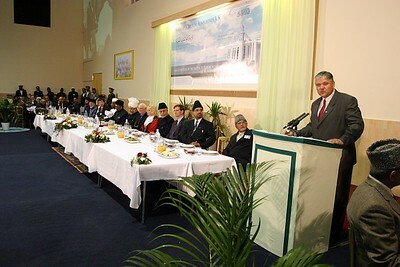 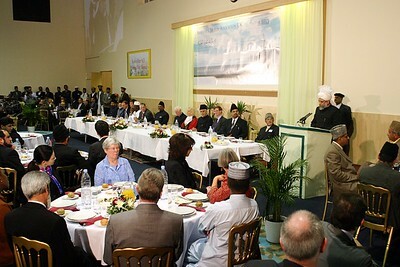 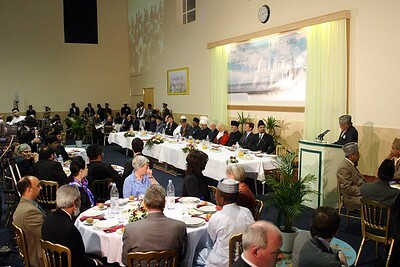 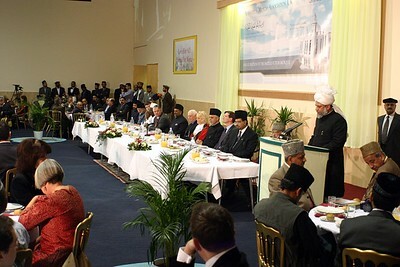 I hope and pray that the slogan Love for All hatred for none be always raised from Baitul Futuh. 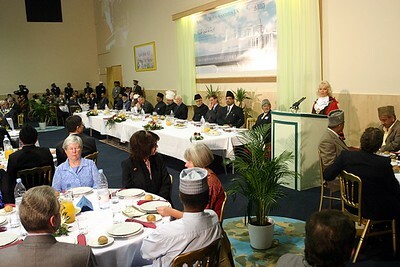 He said "..it(Baitul Futuh Mosque) reminds the rest of us of the civilized and humane values of Islam which Ahmadi Muslims propagate..."
she said "..I am amazed that during my mayoral year the dream of this mosque has come true..."